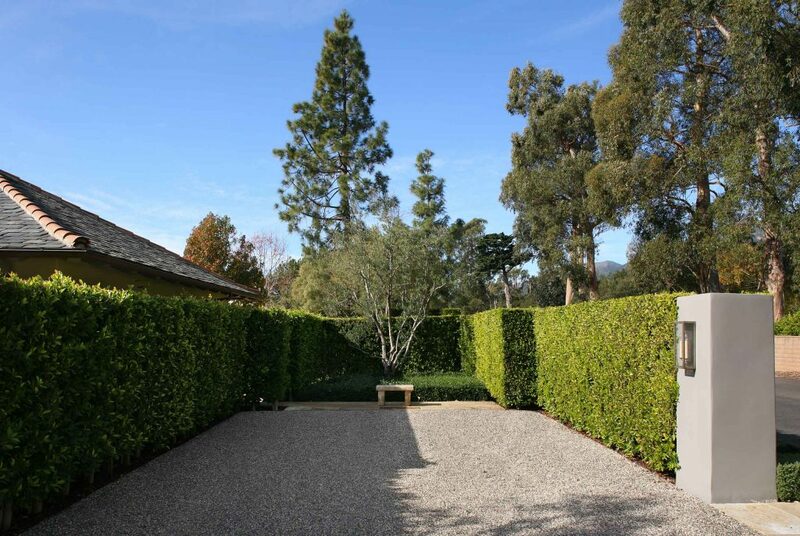 The Hedge Garden was a true collaboration between us and the owners of this Montecito home. The final product was the happy result of months spent developing trust and building a special relationship. 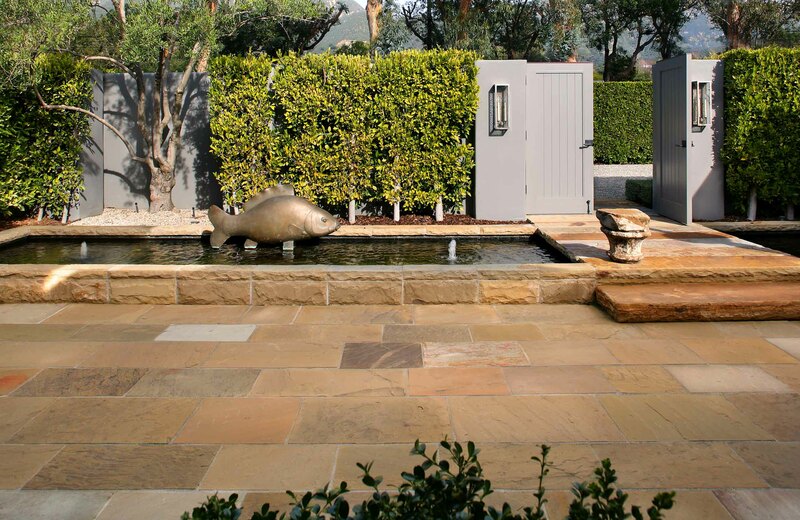 We worked closely with the clients to design a landscape that would complement their extraordinary collection of outdoor sculptures. To showcase the art rather than overshadow it, we restricted the plant palette to a dozen species, all in shades of green or gray-green species. Using the same flora over and over again causes the eye to keep moving and makes the overall property feel larger. 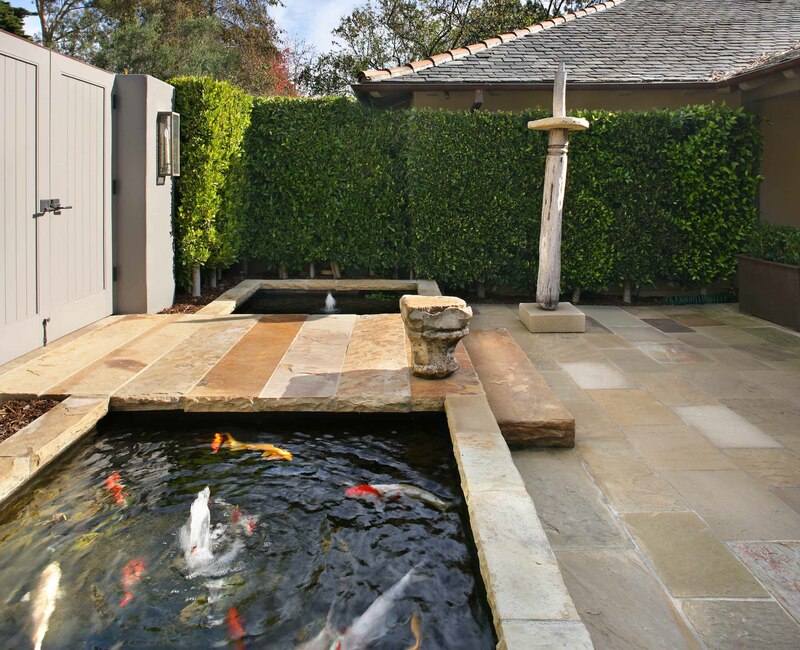 A koi pond with a fish sculpture hovering above it serves as the focal point of the front courtyard. 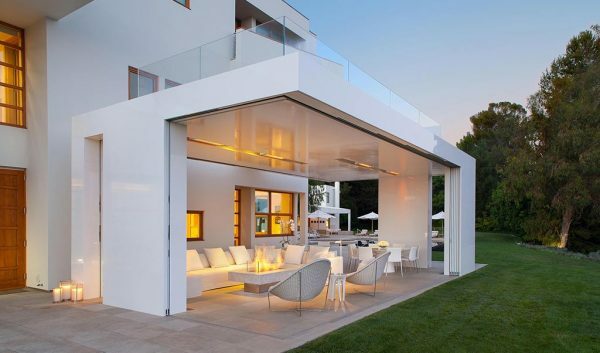 This outdoor room is often transformed for frequent use for ceremonial public events and private family gatherings alike. 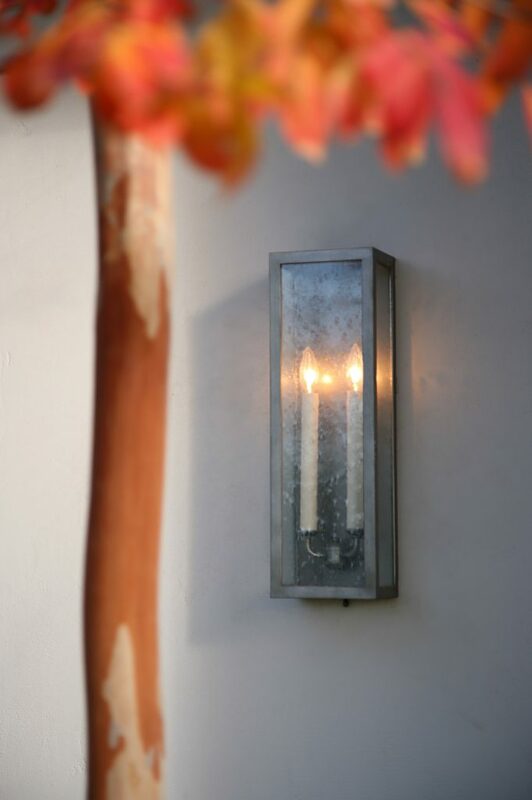 Texture rather than color creates the illusion of a more diverse plant palette. 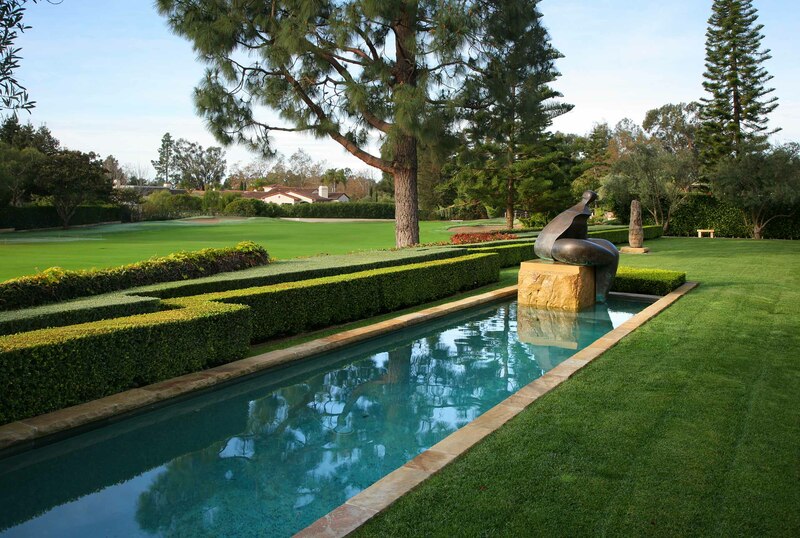 A carefully manicured lawn makes the property feel like an extension of the adjacent golf course; boxwood hedges sculpted into tight orthogonal forms delineate the edges of the various gardens. 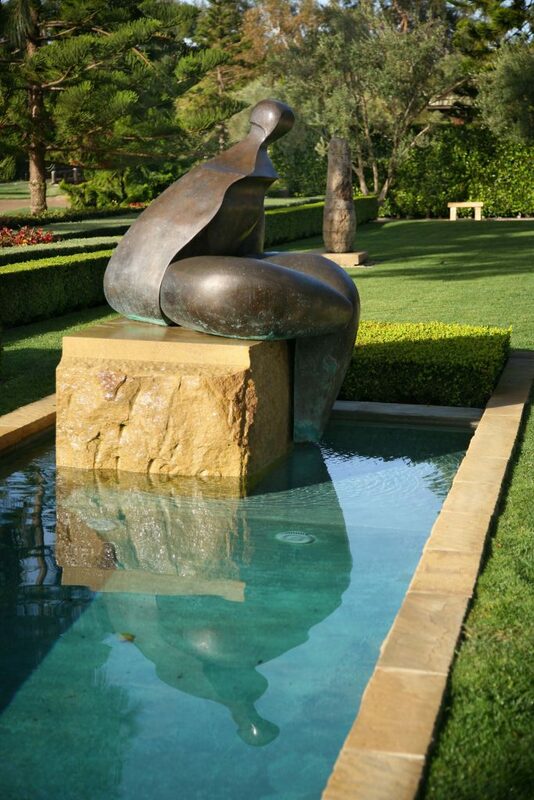 An allée of olive trees runs parallel to the oblong, rectangular pond, both of which terminate at a steel sculpture. Another sculpture at the far end of the linear swimming pool allows it to do double duty as a reflecting pool when nobody is doing laps. 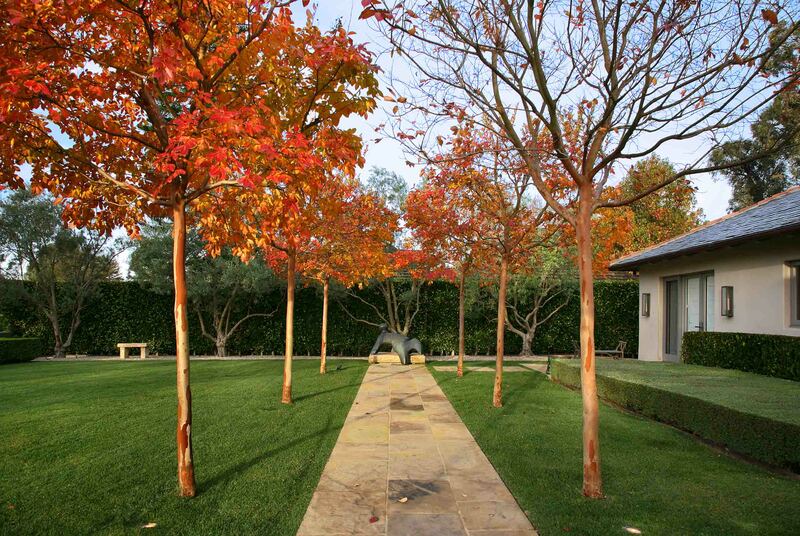 The design is manicured yet textured so that it complements the art, but also stands alone as a landscape experience.